Published in Exile: A Literary Quarterly, Volume 1, Number 3 (Toronto, Exile Editions, 1974), pp. 93-123. Copyright © Janine Zend, all rights reserved, reproduced under license. 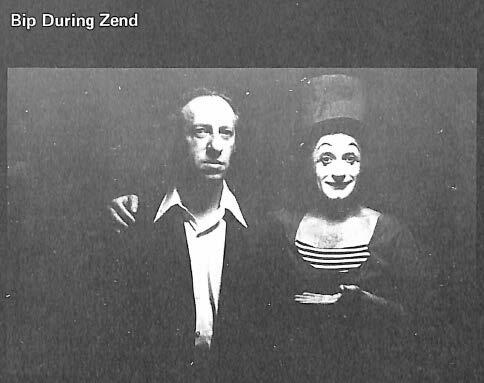 Although their meeting was relatively brief, Zend’s friendship with Marceau was extraordinarily fruitful in their exchanges of poems and drawings. 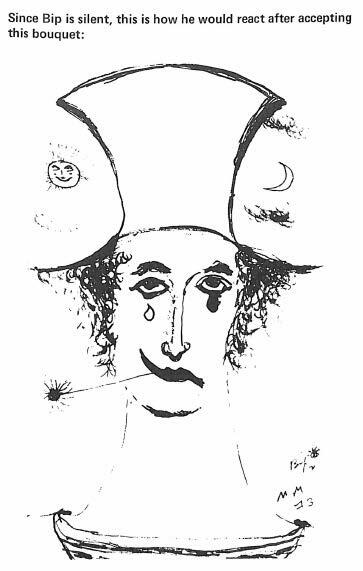 The ideas and feelings that raised Marceau’s miming to a subtle and ingenious artistic expression resonated with Zend’s own explorations of self and other and the tension between human universality and the divided self. 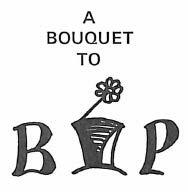 Marcel Marceau's response to receiving the "bouquet:"
Marcel Marceau (Bip), in "Bouquet to Bip," p. 123. "I must detach myself wholly from my face. At the end, when he cannot wrench the laughing mask off, the face laughs and the body cries. I divide myself in two." 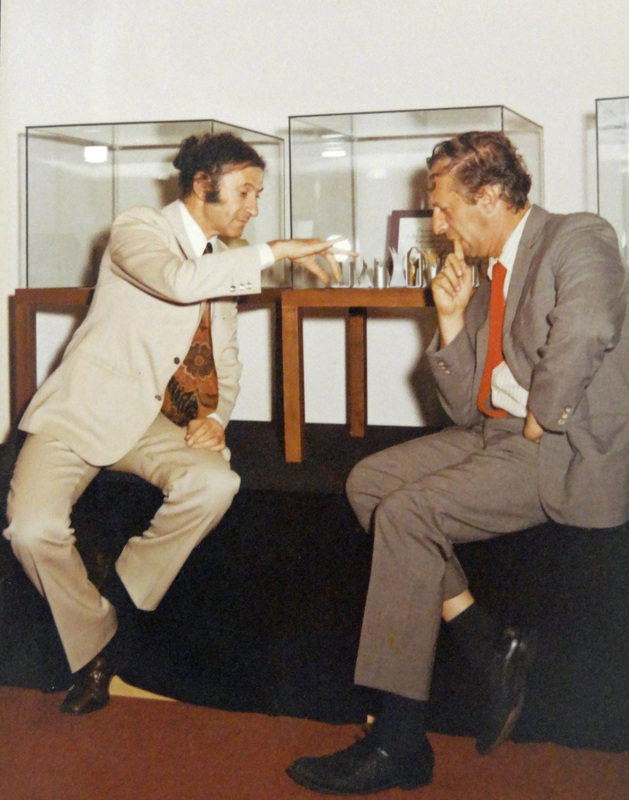 Robert Zend, Copyright © Janine Zend, 1974, all rights reserved, reproduced under license. 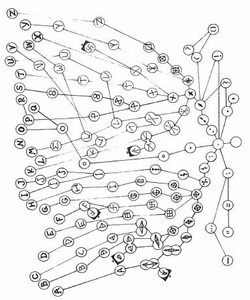 One of the most beautiful and poignant [pieces in 'Bouquet to Bip,' entitled 'The Family Tree of the Alphabet,' is a concrete poem consisting of letters in a connect-the-dot configuration of a butterfly [see above]. The image renders homage both to Marceau’s sketch “Bip Hunts Butterflies” [see right] and to George Mendoza, author of the children’s book Marcel Marceau Alphabet Book [see above right]. Zend’s butterfly shows an imaginary evolution of the modern alphabet originating from punctuation marks in the body of the butterfly and branching out into more evolved letters along its wings.